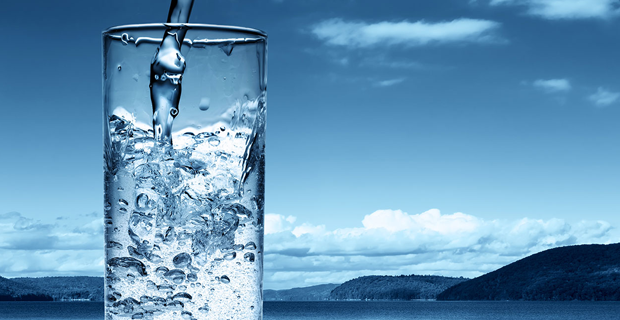 Water is the most common chemical compound on planet Earth. There is so much of it that if the earth’s crust was made absolutely smooth, water would cover the entire planet to a uniform depth of 2.5km. Water is a unique substance in that it occurs naturally in all three possible states of matter – as a solid (ice), as a liquid and as a gas (vapour). Only 2.8 per cent of the Earth’s water is fresh and of that small proportion only 6 per cent is liquid. Well over 90 per cent is located at the two polar ice caps and the remainder as water vapour in the atmosphere which when it condenses a proportion falls on the land surface. Ninety eight percent of the planets fresh water is underground. This water comes to the surface as a natural spring or is pumped and after filtration to remove impurities and excess minerals can be safely drunk by the human population. For some people in less developed lands drinking water may be a source of sickness and death. More than one billion people do not have access to clean and safe drinking water. Instead they have to use stagnant and polluted sources of water. The lack of clean safe drinking water can cause the spread of water borne diseases such as Cholera and Typhoid.